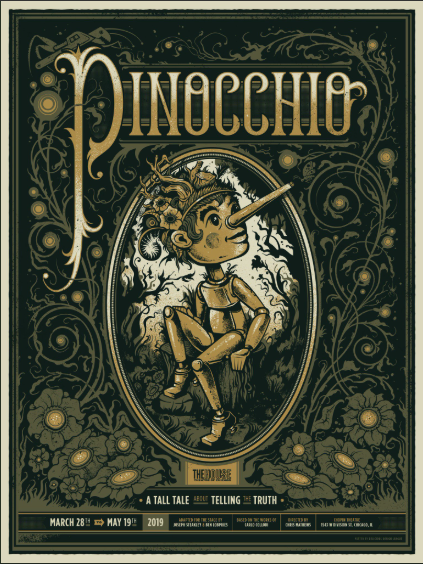 Porchlight Music Theatre is a perennial favorite of ours here at ChiIL Live Shows. They've earned a well deserved reputation for world class musical productions in an intimate space. We're particularly excited to see Larry Yando, another favorite of ours, make his Porchlight debut. He's the king of the pregnant pause and can work a silence better than just about anyone on the Chicago scene. 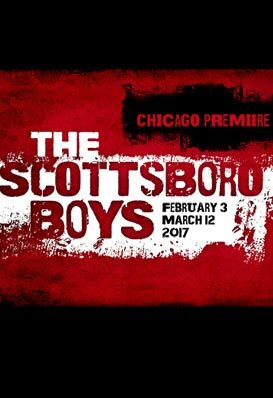 OPENING: Chicago premiere of the Broadway musical The Scottsboro Boys, February 3 – March 12, featuring music and lyrics by John Kander and Fred Ebb, book by David Thompson, direction by Samuel G. Roberson, Jr, music direction by Doug Peck and choreography by Florence Walker-Harris with Breon Arzell as associate choreographer, at Stage 773, 1225 W. Belmont Ave.
Previews are Friday, Feb. 3 at 8 p.m., Saturday, Feb. 4 at 8 p.m., Sunday, Feb. 5 at 2 p.m. and Monday, Feb. 6 at 7:30 p.m. The performance schedule is Thursdays at 7:30 p.m., Fridays at 8 p.m., Saturdays at 4 and 8 p.m. and Sundays at 2 p.m. There is an added matinee performance Thursday, March 2 at 1:30 p.m. NOTE: *There are no Thursday 7:30 p.m. performances February 9 and March 2. Tickets for previews are $38 and for the regular run $45 - $51. Single tickets may be purchased at 773.327.5252 or at PorchlightMusicTheatre.org. 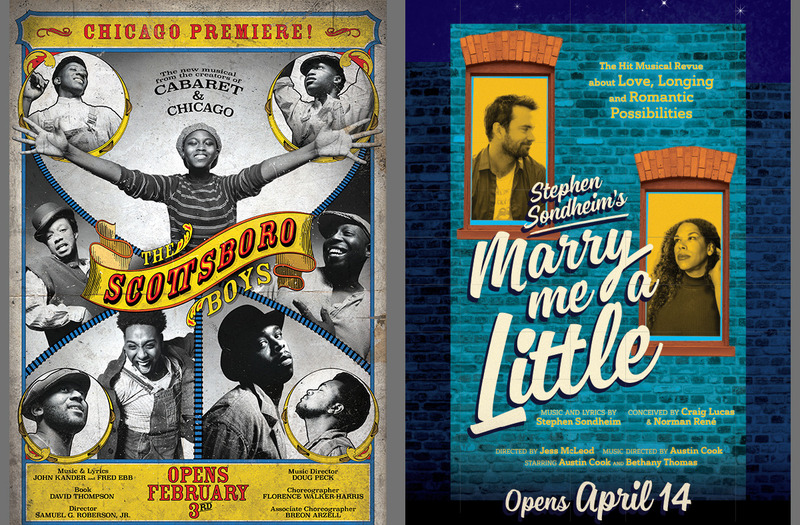 The thrilling, final collaboration by the creators of Cabaret, Chicago and Kiss of the Spider Woman, The Scottsboro Boys has been hailed as one of the most visionary and controversial musicals to grace the stages of Broadway and London. Nominated for 12 Tony Awards (including “Best Musical,” “Book of a Musical” and “Original Score”) and presented in the style of the notorious “minstrel show;” this true-life story of nine African American teenagers accused and put on trial in Memphis for a crime they did not commit is one of the most infamous events in our country’s history, igniting the start of the modern civil rights movement. Jos N. Banks (Charles Weems), Cynthia Clarey (The Lady), Cameron Goode (Eugene Williams), Izaiah Harris (Willie Roberson), Mark Hood (Mr. Tambo), James Earl Jones II (Haywood Patterson), Maurice Randle (Andy Wright), Jerome Riley, Jr. (Roy Wright), Trequon Tate (Ozie Powell), Denzel Tsopnang (Mr. Bones), Travis Austin Wright (Olen Montgomery) and Larry Yando (The Interlocutor). Understudies include Susan P. Anderson, Patrick Perry, Jared Grant, Micheal Lovette and Nolan Robinson. This is Samuel G. Roberson Jr’s debut with Porchlight Music Theatre. Roberson is the artistic director of Congo Square Theatre. His Chicago acting stage credits include: Samuel J and K (Steppenwolf Theatre), Civil War Christmas (Northlight Theatre), The Colored Museum and Sanctified (Congo Square), Living Green and The Lost Boys of Sudan (Victory Gardens Theatre), and The Ballad of Emmett Till (Goodman Theatre). Roberson also founded an education and outreach initiative with Congo Square Theatre called Y-BOOM (Young Brothers Owning Our Mission). As a two-time leukemia survivor he has always had a passion for giving back and started a non-profit organization, called Make Me A Match Project, dedicated to saving the lives of patients in need of a bone marrow transplant. 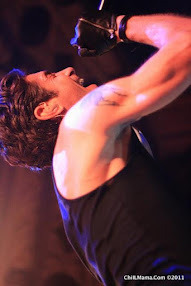 Doug Peck is a Porchlight Music Theatre artistic associate where he previously music directed and conducted Dreamgirls and Pal Joey as well as being the co-host and co-creator of Porchlight’s annual fundraiser Chicago Sings. Peck is the winner of six Jeff Awards (The Jungle Book; Porgy and Bess; Caroline, or Change; Carousel; Fiorello! and Man of La Mancha). His work has been heard in Chicago at Court Theatre, Chicago Shakespeare Theater, Goodman Theatre, Writers Theatre, TimeLine Theatre Company, Northlight Theatre, the Paramount Theatre, Drury Lane Theatre, Ravinia Festival and the Chicago Humanities Festival. Peck can be heard on the recordings Bright Young People: The Songs of Noël Coward, Foiled Again Live and Loving Repeating: A Musical of Gertrude Stein. Florence Walker-Harris makes her Porchlight Music Theatre debut with The Scottsboro Boys. Walker-Harris is the artistic director at Studio One Dance Theatre and trained in a variety of dance disciplines including Classical Ballet, the modern technique of Lester Horton, Kather, the Dunham technique, Jazz (strongly influenced by Mr. Frank Hatchet,) traditional Haitian folklore, African, Tap and Hip-Hop. She holds a Bachelor of Science in Sociology & Black and Latino Studies from the State University College at Oneonta in New York, and a Masters degree in Human Services Administration from National Louis University. Breon Arzell’s talents and choreography have been seen in the productions of Rutherford’s Travels (Pegasus Theatre), The House That Will Not Stand (Victory Gardens Theater) and The Hairy Ape (Oracle Productions), for which he received the 2016 Joseph Jefferson Award for “Artistic Specialization,” for his movement and step choreography. He specializes in hip hop, jazz, lyrical, contemporary and step and has choreographed for and danced with LaShelle's School of Dance and Twisted Dance Co. in Detroit and he has performed in And the Tony Goes To with Joel Hall Dancers & Center. Arzell teaches at Joel Hall Dancers & Center, Agassiz Elementary and Walter Payton High School. He has appeared in the film A Rose by Any Other Name and is television credits include: “Empire.” He specializes in hip hop, jazz, lyrical, contemporary and step. 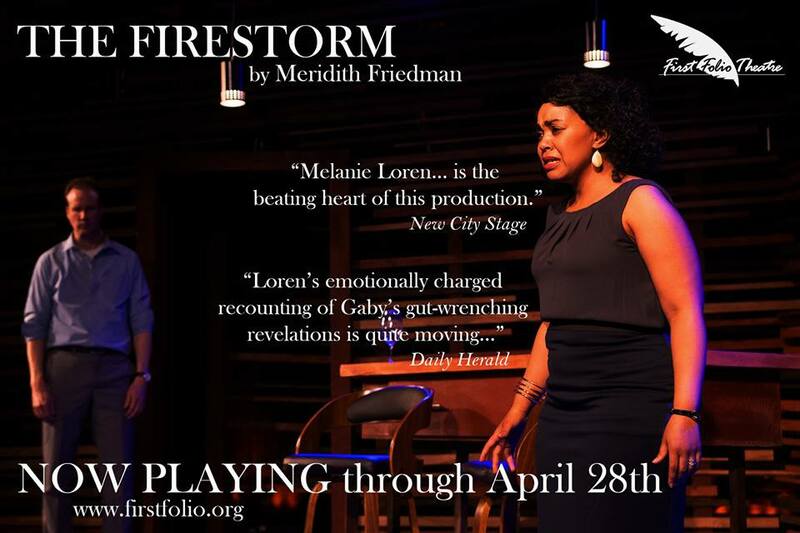 Cynthia Clarey makes her Porchlight debut with this production. Her reputation as a consummate singing actress has led to engagements throughout the world. Highlights of her repertoire include Handel’s Ariodante, Thomas’ Mignon and Bellini’s La Straniera (Wexford Festival); Monteverdi’s L’incoronazione di Poppea and Gershwin’s Porgy and Bess (Glyndebourne Festival); Berg’s Lulu (Chatelet in Paris) and Offenbach’s Robinson Crusoe (Opera Comique). She sang leading roles in several premieres, including Thea Musgrave’s Voice of Ariadne, which was her New York City Opera debut and she played Broadway and toured in seven countries with Peter Brook’s innovative La tragedie de Carmen. The films of Porgy and Bess and L’incoronazione di Poppea are available on DVD. Tickets for previews are $38 and for the regular run $45 - $51. Single tickets may be purchased at 773.327.5252 or at PorchlightMusicTheatre.org.